There are too many nectarines to keep up with on my neighbor's tree! Every time I pick some to eat, I leave them on the counter for a day and they get overly ripe. It seems as though you have to pick them and eat them instantly. Or, like today, pick a bunch to use in a dessert...but what kind? I have never made a tart before, but they always look so beautiful. I looked at a few examples and decided on this recipe. It is sweet, but not overly so, and would be perfect for a brunch or summertime BBQ. Preheat oven to 375 degrees with baking sheet inside of it. Defrost puff pastry on a sheet of parchment paper, according to package instructions. Fold the edge of the pastry over to create a border 1/2 inch wide. Mix the nectarines, honey and lemon juice together in a bowl. Remove the baking sheet from the oven and place pastry on it. Fill the center of the pastry with the nectarine mixture. Brush the border with the beaten egg and sprinkle raw sugar over it. Bake for 25-30* minutes or until pastry is golden brown. *I like my pastry dough more crisp than doughy, so I had mine baking for 30 minutes. After about 20 minutes, watch your tart to make sure it is baked to your liking. Thanks Julie! Hope you have a great weekend also! I love anything with puffed pastry... seen this at a couple parties this week and just wanted to say hi and it looks delicious! Oh YUM! This looks and sounds so good! 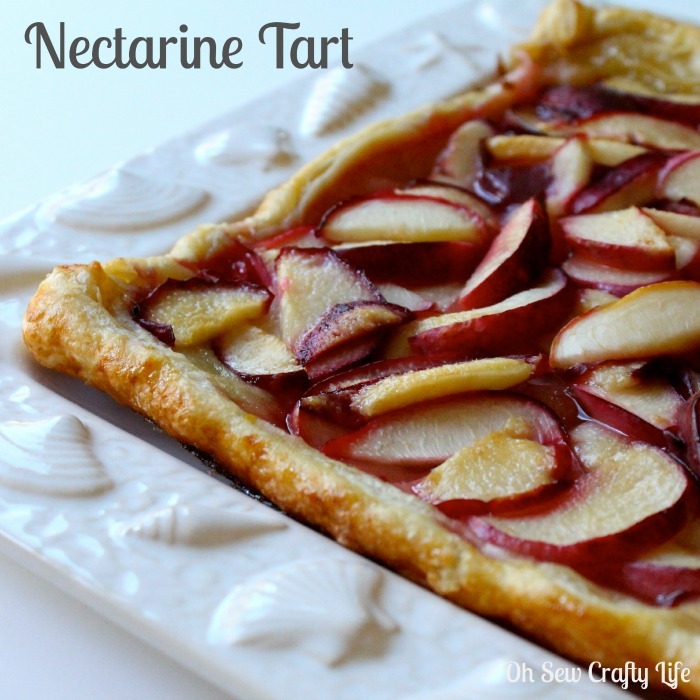 I love nectarines and love that it has honey in it! :) Pinning! Oh wow! This looks sooo delicious! ...A perfect summer dessert to go along with those sunsets and starry nights on the porch. Found your site through Foodie Fridays. Now this looks aH-MAZ-ING! My hubby loves nectarines and I will eat anything that resembles pizza! This looks too good to eat but I KNOW that I would do it anyway!!! 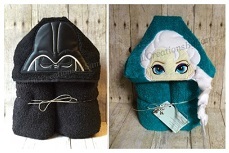 I can not wait to see more of your amazing stuff!--Even the sewing stuff--I really need to break out the machine but am sooooo intimidated, straight lines are never my thing! Thanks again! Thanks Heather! The tart is super good, and if you want an easy, not at all intimidating sewing project, check out my Quick and Easy Swimsuit Coverup! :) Have a great day! Thank you! It is and it's really easy too! What a great summer treat! Thanks for linking up with What's Cookin' Wednesday!